I met someone a few months ago. An extraordinary person. Her name is Jackie Stewart and she is one of those divine people who seem to have a magical connection to cosmic threads and who uses this gift to help others. Jackie helps people like you and me heal emotionally and live our life’s purpose, harnessing potent flower and crystal essences to do so. As we think, “how can I be more fully in alignment with my true self and what I’m really here for?” Jackie helps us re-align with our soul’s purpose. I had a flower essence consultation with Jackie recently and am so grateful for how she has facilitated deep, gentle healing with me first by listening and then by applying her knowledge of the human psyche and flower essences to create an individual combination of essences for me. Knowing what a wonderful, wise and wild woman she is, I asked Jackie if she might write a guest post for Inner Wild Therapy. Her response – the guest post she has so kindly and beautifully written below – resonated so deeply with me that I after I read it with a lump in my throat and then re-read it with tears of relief and healing running down my face I rather selfishly held it close to me for two weeks before managing to share it with you! I am a Child of Moss. And you are a Child of ……? “When we were little children we played without planning, we invented, created, imagined and laughed. We followed our joy and did as we pleased. Way back before anyone told us we couldn’t or shouldn’t; before we noticed what other people thought. What did you imagine? …… What did you create? …… What did you play? If we cast our minds back to childhood we find lost parts of ourselves. Like Hansel and Gretel we scattered trails of crumbs for our adult selves to follow. A crumb of creativity here, a crumb of crazy invention there, a crumb of joy here, a crumb of possibility there. Following the crumbs leads us back to more of our true selves; our unfettered authenticity. Last summer I revisited the landscape of my childhood on the West Coast of Scotland. My grief about leaving it overwhelmed me and I howled to the trees and the sea. I grieved the loss of the land I will always love and the child I had almost forgotten. Revisiting that landscape carried me back to a childhood of nature and creativity. 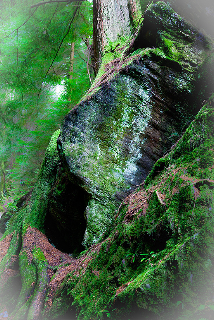 The mossy woods where I made dens in upturned tree trunks, climbed trees and hid on Sunday afternoons until I knew it was too late to go to Sunday school. The hills where I unearthed adders from stones, tried to catch fish in lochans and rolled in the heather. The fields where I followed bottles down burns until they bobbed in the sea where I guddled in rock pools and called to the seals. When I wasn’t playing outside I read books, drew pictures, invented imaginary worlds and made things. I was transfixed by the Antiques Roadshow and dreamt that my handmade boxes, doll’s clothes, perfumed envelopes and storybooks would become heirlooms for people in the future. Every birthday and Christmas I asked for drawing paper. I drew people and flowers; they seem easier to draw, more beautiful to capture than anything else. It’s the same now: people and flowers inspire my work – together people and flowers are my work. These childhood joy-crumbs have become the passions of adulthood – the very essence of what I put out into the world. Last year while I wandered through bog and hill my childhood felt close enough to touch and a rhyme emerged in my head. I am a child of moss, bog and scree..I am a child of woodland and tree… I am a child of waves crashing free… I am a child that was borne of the sea. I’d forgotten how much that wild child was still inside me wanting to play outside. I’d forgotten about the need for solitude that wild places have hewn in my soul. I come from somewhere so wild, remote and devoid of human touch that I carry that same solitude within. I’d underestimated how much I need space and silence. I hadn’t realised why chaos, loudness, crowds and clutter are so cacophonous to me until I stood there in calm, open stillness. I saw myself with a new understanding. Space and silence are part of my very nature; without both I feel like I am suffocating. Many times I’d felt the suffocation but hadn’t quite realised why. Remote landscapes shaped me, solitude defines me and my creativity flows from quiet spaces within. Now I live in a different landscape but my inner compass still points west. When I feel out of sorts I walk westwards, following the crumbs for glimpses of wild and the sound of silence. If you look back into your childhood you’ll find the crumbs you scattered. Be gentle and curious but you better be quick. Leave it too long and you might not be able to see them anymore. So close your eyes. Journey back to a time in your childhood when you were really happy. Doing something you loved. Where were you? Was anyone else with you? What was the weather like? What were you wearing? Who was your best friend? Your worst enemy? How did you feel? Call back the atmosphere of this time and allow the details to emerge in your awareness. Call these memories into your heart and find the golden thread that links the Then-You to the Now-You. Breathe deep into the reconnection and remembering. – written by Jackie Stewart, Flowerspirit. 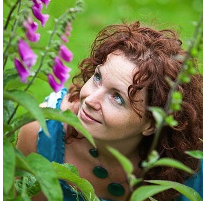 You might like to connect with Jackie yourself – you will find her lovely gentleness on Twitter @JSFlowerspirit and of course on her website: Flowerspirit. 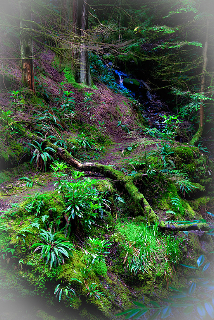 Images of Puck’s Glen, Argyll, Scotland borrowed from photographer, Jason Smalley. See more of Jason’s breath-taking nature photography at www.jasonsmalley.co.uk. 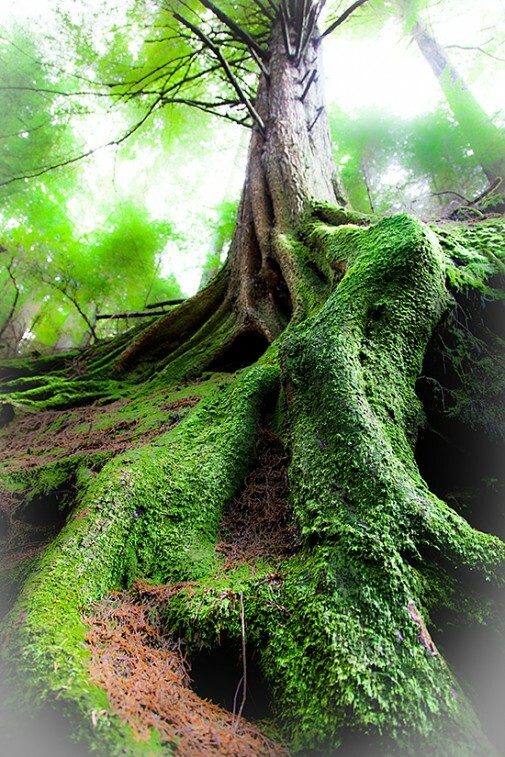 You can even purchase his images which exemplify his ethos of ‘connecting to nature through the craft of photography’ at Wildscape at Redbubble. Jason and Jackie also create an artful and powerful newsletter, Essence of Wild – have a look and enjoy. Today in Scotland we’re having a festive season embellished with piles of snow and wonderment. Days off school and work, a feeling of coziness in our homes, doors closed tight against freezing winds, curtains open wide to giant snowflakes cascading. Crunching through deep snow piles, slipping gracefully on ice and managing to catch ourselves before falling over. This is the season when we are always surprised – by the weather, the kindness of those around us, expressions of love, traditions old and newly-created like an advent calendar sent across the Atlantic, new pyjamas for Christmas Eve. We are encouraged to ballet dance on thin ice, sip cups of too-hot hot chocolate and hold loved ones close. There are many other lovely surprises – any one of which might be just a moment away for you right now. Who knows what wonderful thing is about to happen? 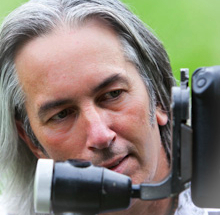 View the video clip above for your instant glorious, random act of daily inspiration. When I watched it, my eyes teared up and my throat got all thick and swollen – yay! I’ve had a good year and don’t need any more money. I’m extremely fortunate, grateful, and even blessed to be able to write for a living and tour the world meeting fun people. Even though I’m an entrepreneur myself and don’t think there’s anything wrong with making money, I always try to be conscious of how much money I need and how much is just extra. Read the rest of the wise one’s words in context in his post from Anchorage, Alaska. 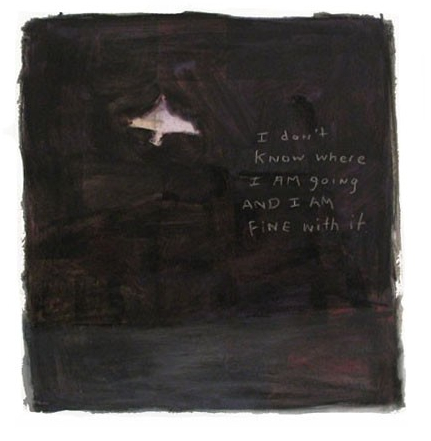 Image – original charcoal drawing “I don’t know where I am going …” part of a series of works by Lee Tracy. Desk – Music and Sound Design from Aaron Trinder Film:Motion:Music on Vimeo. Are you nomadic, without need of a desk? Or do you like your desk to be cluttered with inspiration? Do you use piles of papers as walls of protection? Why are you the way you are? This lovely short film is a gentle glimpse into the fascinating psychology of the desk as used by humans. It strikes me as ironic that the adjective “simple” is used by the less loving among us to insult a person. In Scotland, “Are you simple? !” means are you dumb, stupid, intellectually-retarded? It’s ironic because so many of us actively pursue a sense of simplicity, a stillness of mind, a simple way of being. As a complex individual I even think that a state of genuine simple-mindedness might be a form of self-actualization. And this leads me to the glory of our indulgence in simple Autumnal bliss the other day (and yes, I do believe we did look ‘simple’ while we enjoyed it). We had a woven basket and into this basket went Autumn leaves of every shade of green, yellow, gold, brown and red you can imagine. It’s so lovely to have an excuse to study the intricacies and minutae of our local neighbourhood – this day it was leaf collecting. Huge sycamores in reds and brown, little beech leaves with serrated edges, birch leaves in shining buttery yellow and gigantic horse chestnut leaves – and oh! heaven – round, smooth, rich brown shiny conkers nestled in their perfect spiky green cases all velvety soft and yielding inside. We press them to our noses to smell as if their luscious looks weren’t enough for us. And now, perhaps dropped by a fairy, a tiny acorn cup. Maybe this Leaf Fairy spilled her honey nectar drink when she dropped her acorn cup? Maybe a pixie stole it? The basket is full, leaves blowing out as the wind rises. We rush through the long grass coated in rustley leaves thinking of newly fallen snow. We meet one of our neighbours – another lovely everyday thing; the chatting with neighbours. She sees the basket of leaves and bursts to tell us that even though she is in her 60’s she still rushes through crispy leaves in the Fall – she conspiratorially tells us she seeks out big piles for crunchy, scrunching, runching ravaging! We smile. The dog is walked. We are tired too. We are all very simple you see. Home. Block wax crayons. White paper. Leaves. Rub. 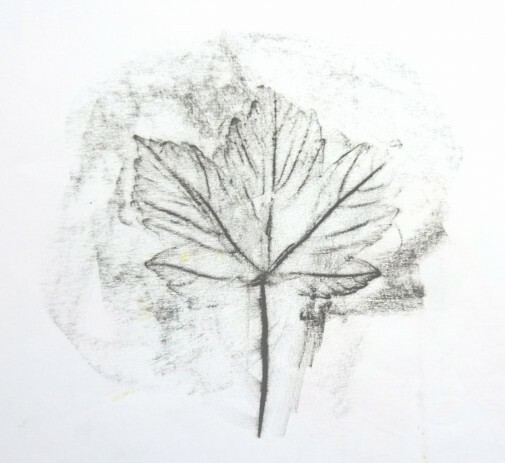 At the table we make stupendous graphic art, homages to nature, in moments just by rubbing a crayon over paper over a leaf (see above). A simple thing. Simple art from simple leaf beauty. 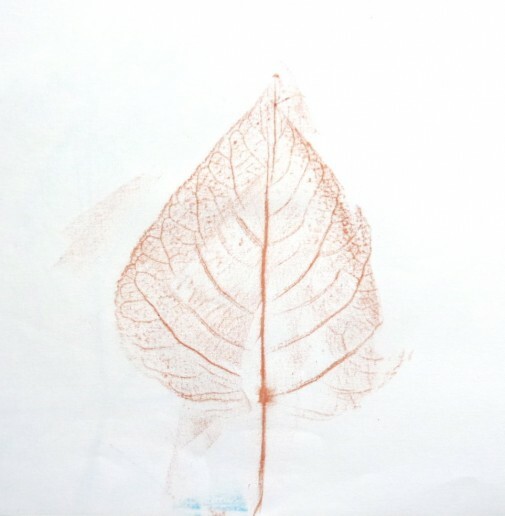 We are the only people in the whole world to have seen the detail of these leaves, their veins, skin, breaking down fibres, fading colors and seeping moisture. Your inner wild might enjoy playing in the wilderness. We like wilderness, and wildness, around here ... don't we? Read my novel THE WILD FOLK. You and your dog can read Stories for My Dog together - out 4 June 2018 Pre-order here. © 2019 inner wild therapy. All rights reserved.